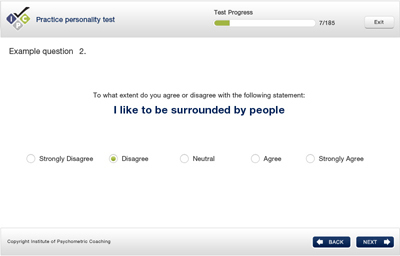 The most common type of personality test questions is statement-based ones. 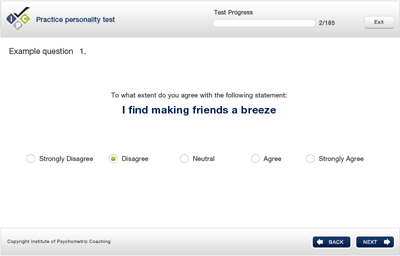 In this type of question, you receive a list of statements and are asked to state the extent to which you agree or disagree with each statement. 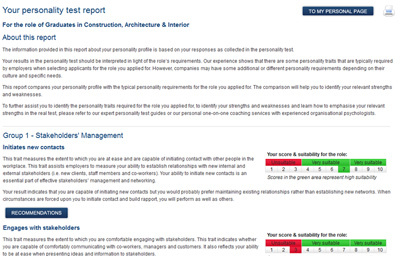 For example, you might receive the following statement: ‘I am confident that work accidents won't happen to me’. You will then be asked to state the extent to which you agree with this statement on a scale of 1 to 5, where 1 is ‘strongly disagree’, and 5 is ‘strongly agree’. 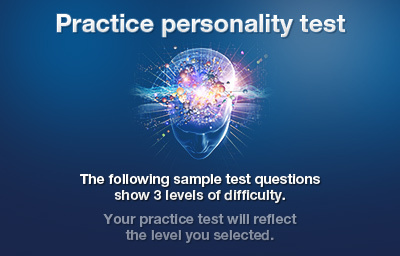 See below for some examples of personality test questions and explanations of their answers. Click on the image to enlarge.